A heavy downpour, accompanied by slightly scary but fierce lightning, signalled that it was better to stay indoors for the rest of the night. I was flipping through the TV channels when I suddenly had to stop because I came across an unusual sight. 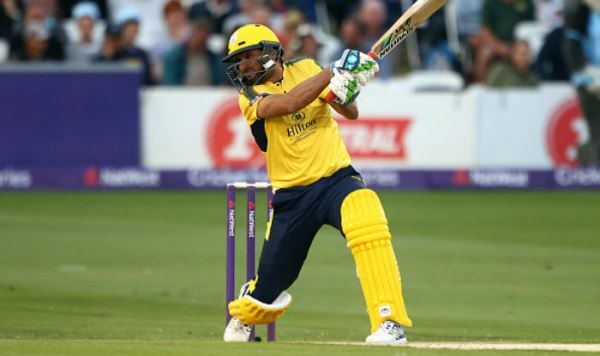 I happened to come across England’s T20 Blast, where the 37-year-old Shahid Afridi was opening the innings for his side, Hampshire, against Derbyshire. 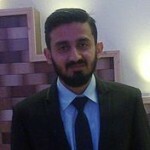 Despite having watched Afridi play as an opener countless times, I was slightly taken back. Although I have some great memories of Afridi opening the innings for Pakistan, I do have my fair share of regular disappointments as well. I honestly did not know how placing him at the top of the order would materialise for Hampshire. While I was engrossed in his past exploits as an opener, Afridi launched the first ball into the stands. It was a massive six towards the leg side, which landed in between the crowd. This gave the first indication that Derbyshire might need some fielders amongst the spectators as well. Quite frankly speaking, I expected this blitz to end prematurely, but for once, Afridi was in no mood to disappoint. Once he settled in (I am not sure if that’s entirely applicable to Afridi though), the shots he played off the back of his blade travelled the distance, while even the miscued shots were yielding boundaries. The bowlers had no answers to this onslaught and were getting thrashed on the field. By now, I had lost track of the torrential rain and my entire focus was on the explosive innings on display. 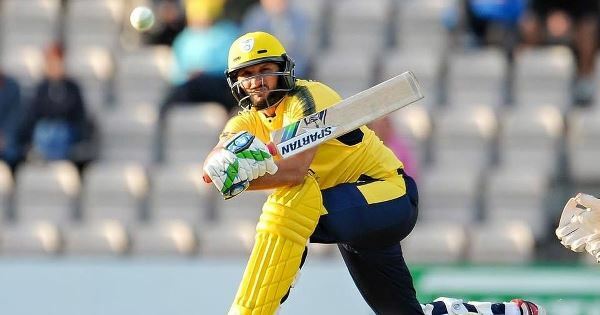 The use of his strong wrists to muscle the ball to the fence, the obvious tendency to hit towards the leg side and a dab shot down to third man, the innings had all the makings of a classic Afridi knock. Roughly an hour later, the former Pakistan captain was standing in his traditional pose as he achieved his first T20 century. It took him quite a while, more than 250 T20 matches to be precise, but it was surely worth it, right? Just like the rain in Karachi, Afridi showed no indication of slowing down. An innings which included 10 fours and seven massive sixes was enough to turn the tide in his team’s favour. Even some of the best bowlers do not stand a chance when Afridi is in his element, as he can mercilessly tear apart any bowling line-up on his day. Derbyshire’s bowling attack included the likes of Matt Henry and one of the best spinners in the world, Imran Tahir. But that did not change the course of the match because once Afridi cuts loose, he is a difficult man to stop. According to certain statistics on Twitter, in his 43-ball stay at the wicket, Afridi offered no shot to two deliveries, defended three and took the attack to the opposition on the remaining 38 deliveries. This reflected on how highly entertaining his knock was and it even falls in line with the way he played cricket over the course of his career. After the match, Afridi did say he wanted the management to promote him at the top of the order because he felt useless at number seven. No matter which side one supported, this was a thoroughly entertaining knock and although the spectators were ducking for cover for majority of the time in the stands, it’s safe to say that they got their money’s worth. There might not be any fireworks the next time he comes out to bat and I won’t be surprised if he makes his way back to the stands with a golden duck against his name. But after watching him play for so many years, it won’t bother me because this is the Afridi most of us have embraced. By the end of the match, the rain showed no signs of stopping, but Afridi’s storm of an innings had subsided, leaving his fans with unforgettable memories to cherish.